CDT has launched a long-term focus on questions around the common theme is “Community” online. 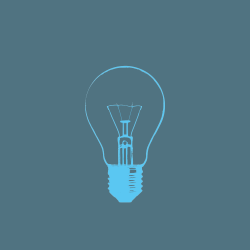 We seek to offer policy recommendations and best practices that will invigorate a greater sense of user engagement, empowerment, and membership in their chosen online communities. 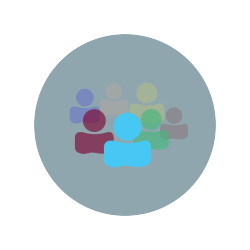 We will host and inform conversations on issues like news feeds and polarization, the personalized web, and the impact of web design and online architectures in fostering open and collaborative communities. We're shoring up the foundations of democracy. 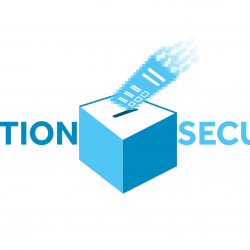 As more political activity touches the digital realm, there exists a real potential for cybersecurity issues to influence voting, compromise election activities, and alter core democratic norms. We’re working to address key election cybersecurity issues, such as election official training, technical volunteer capacity building, social media disinformation campaigns, and robust post-election auditing. It's time for Tech 101! Consider using this series as an educational entry point for your friends and relatives. Want to know the basics about how technology and the internet works? This is the series for you! These short overviews give you the top-line on everything from 5G to internet architecture. It’s time for Congress to pass comprehensive privacy legislation that can’t be signed away. CDT continues to focuses on the underlying physical and policy structures that allow the internet to flourish. As we look forward to the next 20 years, this work on core internet structures will only become more important as we consider issues around access, governance, and structures. Here are some of the issues we will be working on and the questions we’ll strive to answer. As privacy and security concerns grab headlines, existing and potential customers are placing more value on protection of their personal information. 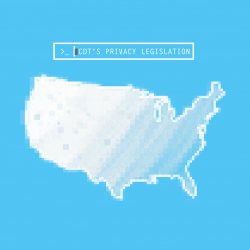 CDT has developed a suite of resources on tech policy for start-ups and entrepreneurs that will help them understand the legislative landscape around managing user data. This information can help new businesses embed security and privacy controls upfront to strengthen their products and services.